It was never meant to be a cheap entry car and the prices are now no different as you can see from the starting price. This one is also being auctioned at Mecum and sounds like it is having extra work done before its final auction, like new chrome detailing. 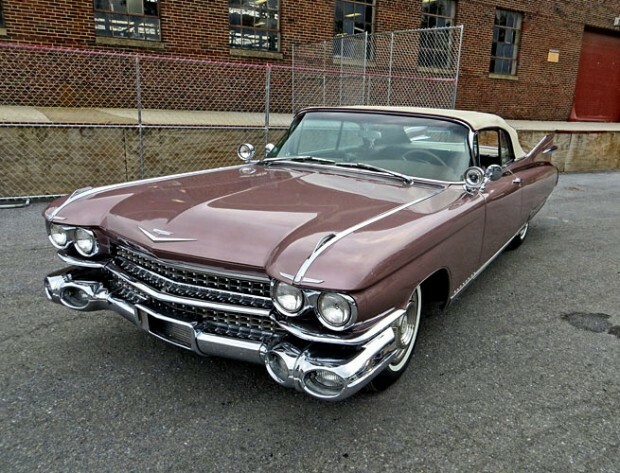 These huge cruisers are in a category of their own, which means to the Cadillac collector, this is one to shortlist. Mirror finished trim, all polished as well as caps very very BRIGHT!! Original data tag on cowl calls for Persian Sand exterior – this is the Original TAG not a reproduction. Dash pad is an okay original, but will eventually need to be replaced if you take off spot lights. This is the real deal lots of phony imitations on the market, this car is VERY solid and very desirable. 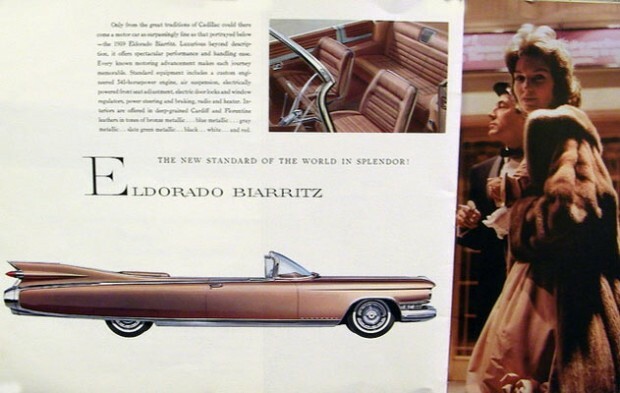 Related Items1959 Cadillac Eldorado Biarritz. 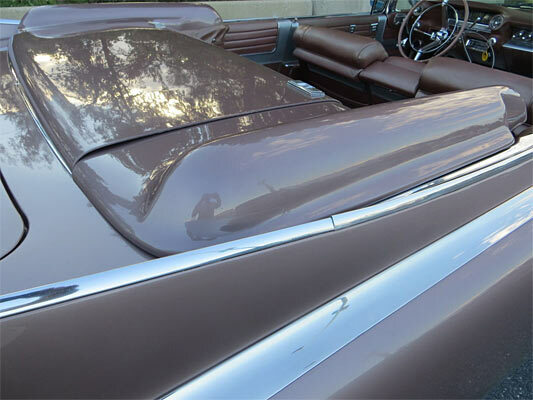 ← Previous Story 1963 Oldsmobile Cutlass Starfire 442 Convertible.